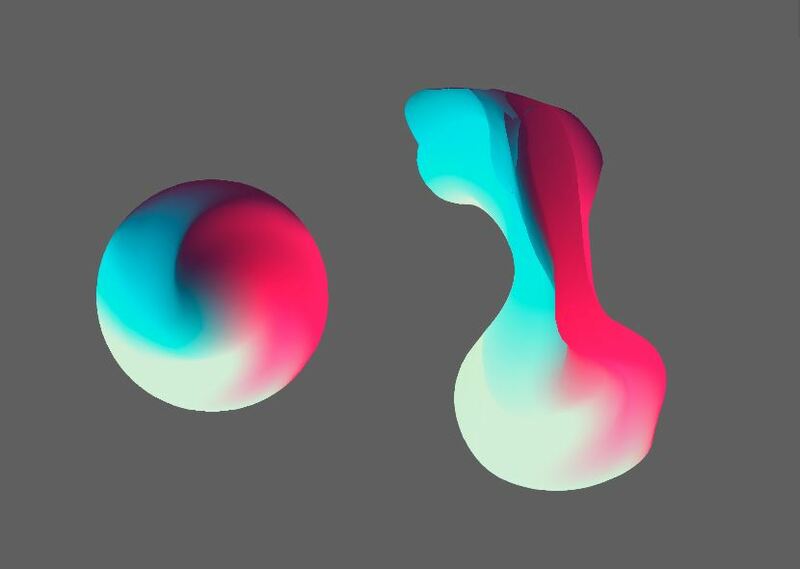 The image on the left is my original circle that was colored with a twirled gradient mesh. The image on the right is the same circle warped. Is there any way I can fix the distortion on the rightmost image? Edit: I want to keep the gradient effect. If you altered the circle by moving mesh points then there's no way to undo that alteration other than to move the mesh points again. If you used the Warp effect or some other effect, open the Appearance window and, with the object selected, you will see the effect you have applied. You can click on the effect and delete it. Or, if you just messed around with the anchor points and twisted the shape, you will need to make another circle. Then you can use the eyedropper tool to copy the gradient into your new circle shape (first select the shape, then use the eyedropper tool on the previous shape with the gradient). How can I remove an existing Gradient Mesh from an object in Adobe Illustrator? Is this Illustrator gradient editable?